What is a Hip to gable loft extension? Hip to gable or raised gable is a good way to convert a hip-end 1920s -1930s semi detached house property. this sort of loft conversion is usually applied on roofs that has 3 sloping sides. This type of loft conversion is suitable for any property which has a hipped roof. A hip-to-gable loft conversion includes building up the slanting (hipped) of a roof property into another vertical gable divider (wall). Basically, this sort of space transformation transforms the inclining part of the rooftop into a vertical wall. The main purpose of this action is to have a same height range with the rest of the roof. Most properties in United Kingdom was built with a sloping side. This minimise the space inside the storage room (attic). 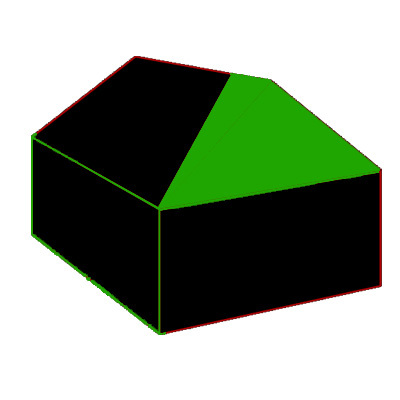 Changing the slanting or hipped rooftop to make a vertical gable end is the right solution. This will create a bigger space with altogether more usable space for all kind of purposes. The current roof is extended to meet the new gable end. This is usually finished with brick, tiles, slate or render. Most houses, such as detached ones, semi detached ones, end of terrace and even bungalows ones are suitable for hip-to-gable conversions. Due to the nature of this type of conversion, it isn’t suitable for mid-terraced houses, as the following don’t have a hip end rooftop. However it could be in some cases appropriate for some end-terraced properties, in addition to many bungalows and chalets. Hit to gable loft Conversion offers an easy solution when there is minimised internal volume in your roof space. We simply extend the smaller slopped end of your roof, as shown, to make it a Gable End which provides more space for an ensuite room, stair case or other features that may be required. A Gable End Loft Conversion can be the best choice when you need the extra space but don’t want to make the structural changes required for a Mansard Loft Conversion. For a full information regarding your eligibility and fulfilment of all the requirements for a hip to gable loft conversion contact us today and get a free quotation.